Yo-kai Watch Shadowside characters to appear. Yo-kai Watch 4 is in development for Switch and will launch in Japan in 2018. 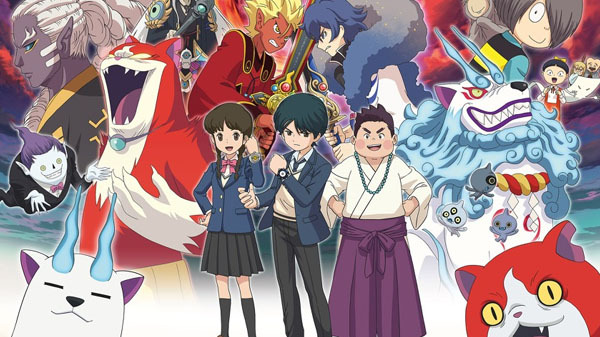 Touma Tsukinami, Natsume Amano, Keesuke Amano, and Akinori Arihoshi from the Yo-kai Watch Shadowside anime (pictured) will appear in the game. 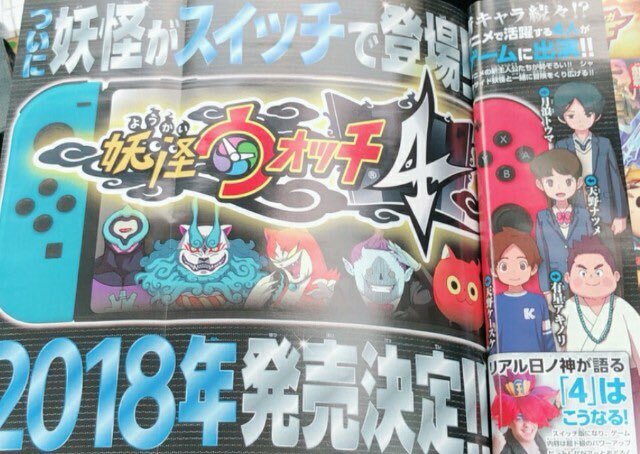 Update 04/11/18 at 3:40 a.m.: Here is the magazine scan announcing Yo-kai Watch 4, via @Japanese3DS.